Equipment used in manufacturing and quality control must be passed through the design qualification meeting the predetermined user requirement qualification. 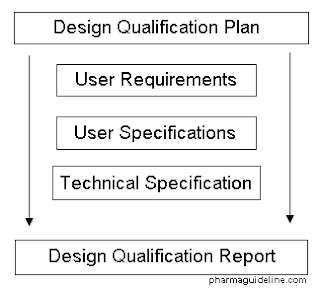 Design qualification is defined as a verification process on the design to meet particular requirements relating to the quality of pharmaceuticals and manufacturing practices. However, the procedure for design qualification in pharmaceuticals is one reason as to why some products do not make it to the shelves in drugstores. It is important that these procedures are taken into consideration and followed keenly. The scope of design qualification is intended to include activities that involve the design stage, development and design that includes any activities of procurement of equipment and suppliers work. To make these processes simple, we shall address them in three important steps. In this stage, it is important to look into the requirement specification on the request for purchase also known as the purchase order. This can be done by a vendor who is supposed to finalize the supply of the material that will meet the financial and technical terms. After checking PO with the equipment as per the specifications of your list, it is important to check them off on the standard of the vendors. It is important to look into each section to ensure they are perfect matches. Technical specifications are necessary to look at, traceability and the acceptance of the vendor to make the supply. This stage is imperative as you need to make an audit of the detailed design specifications. This is mainly due to the process of tracing and also the drawings of the products. At this stage, deviation must be drafted in a report, and they need to be submitted to a vendor and the documentation for the company as well. This stage is critical as it is the last step where no mistakes are expected. As such, the detailed design specifications are focused on the overall results of the product. It is based on the deviation reports, and one is expected to create a summary of the results. Corrective actions from here will be handled at the site acceptance tests or in the process of commissioning the product based on the convenience of both the purchaser and vendor. Design qualification is the primary document that confirms that design is expected to work. Meeting the User Requirements Specification (URS) is important in design qualification as it will allow validation of the design. By the use of a design validation protocol, it is possible to determine if the item will deliver its full functionality based on the URS. It should also conform to the requirements of the Validation Master Plan. These are fundamental processes for any design process in the pharmaceutical industry.